After a series of delays, we finally have a launch date for Mahindra's electric sedan, the e-Verito. The Mahindra e-Verito will be launched in India on June 2, 2016. 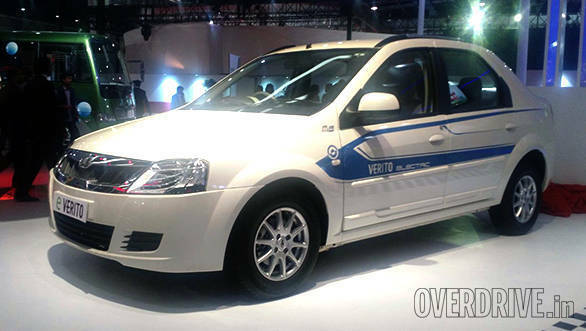 Mahindra's e-Verito was first showcased as a concept at the 2014 Auto Expo. Back then it was supposed to be in showrooms in a couple of months. We again saw the e-Verito at this year's expo and as per company officials, this unit was in production form. The launch, we were told, will be in April 2016. This is a pure electric car - a 3-phase 72V electric motor which produces 41PS/91Nm. The company claims a top speed of 86kmph. The all-important mileage question then. The Mahindra e-Verito claims to run 100km on a full charge. A full charge will take around eight hours, however, Mahindra's fast charge mode available on the D6 trim will help reduce that to one and a half hours. There are three trims on offer - D2, D4 and D6. Apart from the engine, the Mahindra e-Verito also gets low rolling resistance tyres and an updated interior. 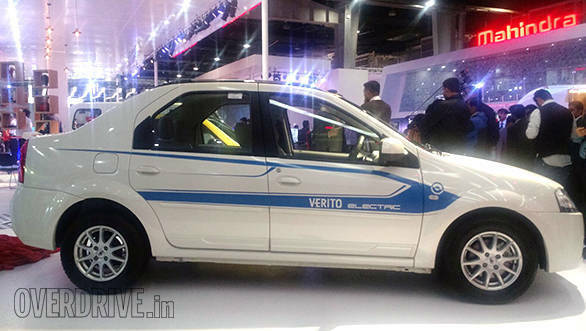 During the auto expo, a Mahindra official did tell us that the base price of the e-Verito will be around Rs 8 lakh.